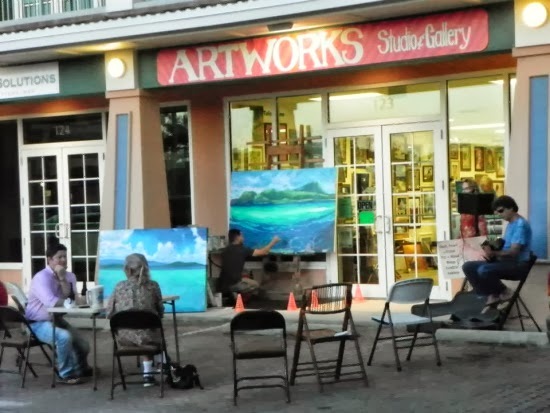 Join us at the Villagio Shoppes on Perdido Key in the gallery for some great art and some great events. o Talis Jayme teaches art classes using watercolors or acrylic. Her Paint & Wine parties on Wednesday nights are a huge hit. Call Talis at (850) 261-9617.
o Tommy Vogel teaches pastels every Monday at the gallery. Get detailed step-by-step instructions that make the most complicated pieces easy. Call Tommy at (850) 492-3620.
o Betty Hawkins teaches her paper arts classes on Fridays. You'll be amazed at what you can put together. Call Betty at (850) 696-9151. Bring a new toy for our Toys for Tots donations.